Previous research has shown children born to mothers who used marijuana during pregnancy are more likely to develop behavioral problems as well as learning and memory impairments. The new research offers further confirmation on those findings and pinpoints how the drug alters the intricate connections in nerves in the hippocampus, the brain's center for learning and memory. Understanding exactly how marijuana affects these brain connections could one day lead to interventions to reduce the damage, researchers say. "The findings from this study will serve as an excellent premise for future interventions to restore memory in children exposed to cannabis during pregnancy, and for the first time, identify a specific mechanism by which learning and memory impairment occurs and how this impairment can be ameliorated," said Priyanka Das Pinky, a graduate student in the laboratory of Vishnu Suppiramaniam, Ph.D., acting associate dean for research and graduate programs at Auburn University. Pinky will present the research at the American Society for Pharmacology and Experimental Therapeutics annual meeting during the 2019 Experimental Biology meeting, held April 6-9 in Orlando, Fla. According to one previous analysis, the use of marijuana during pregnancy increased by 62 percent between 2002 and 2014, paralleling the rising popularity of marijuana in the adult U.S. population as a whole. "Based on our research and the previous existing findings in the field, it can be said that using marijuana during pregnancy would not be a wise choice," said Pinky. "However, it is also notable that the observed effect in the offspring can vary according to their age and according to the trimester during which they were exposed to the drug as well as dose and route of administration of the drug." The research team raised several groups of rats and exposed some of the females to a synthetic chemical that activates the same proteins as cannabis while they were pregnant. They used a dose equivalent to moderate-to-heavy marijuana use in humans. Examining the brains of the baby rats, they found the connections, or synapses, between the nerves in the hippocampus were reduced in those exposed to the synthetic cannabis. Upon further examination, they found evidence that the root of the problem was a reduction in neural cell adhesion molecules (NCAM), a protein important for maintaining proper neural connection and synaptic strength. 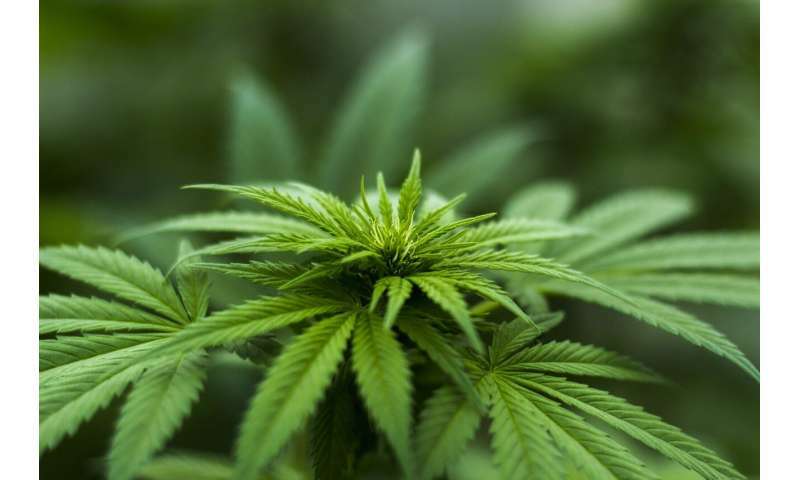 The finding suggests it may be possible to counteract marijuana's effects by increasing the NCAM, though more research is needed to understand the mechanisms involved and determine whether the findings, from studies in animals, would translate to human babies. "It is still very early to come up with a conclusion about the possible safe use of marijuana during pregnancy," Pinky said. "More research is needed to evaluate the exact mechanism by which NCAM and/or its active form is modulating cellular effects while focusing on target specific drug development for amelioration of the observed cognitive deficits." More information: Priyanka Das Pinky will present this research on Tuesday, April 9, from 9 a.m.-4 p.m. in Exhibit Hall-West Hall B (Datablitz presentation at 10:30 a.m. in Booth 720), Orange County Convention Center (abstract).